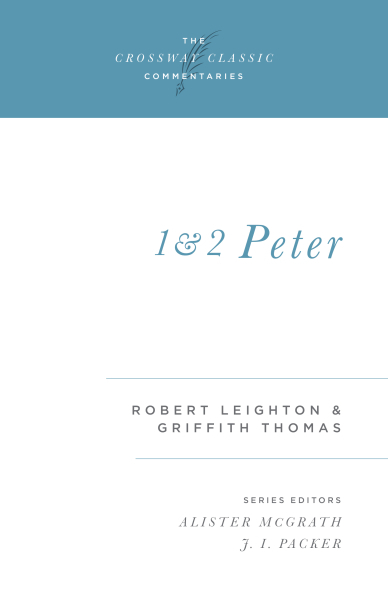 Robert Leighton explores Peter's first letter to the suffering believers while Griffith Thomas looks at the second epistle. Addressed to persecuted believers, Peter's first letter encourages them with the knowledge that it is possible to live victoriously in the midst of hostility--just as Christ, who suffered unjustly, did. He exhorts them to live a holy life that they might be a witness and evangelize the world through their faithfulness. In his second epistle, Peter warns against the more subtle dangers from within the church--false teachers and errant doctrine. He also emphasizes the importance of scriptural knowledge, for only in understanding true doctrine will heresies be known and immoral behavior be exposed.